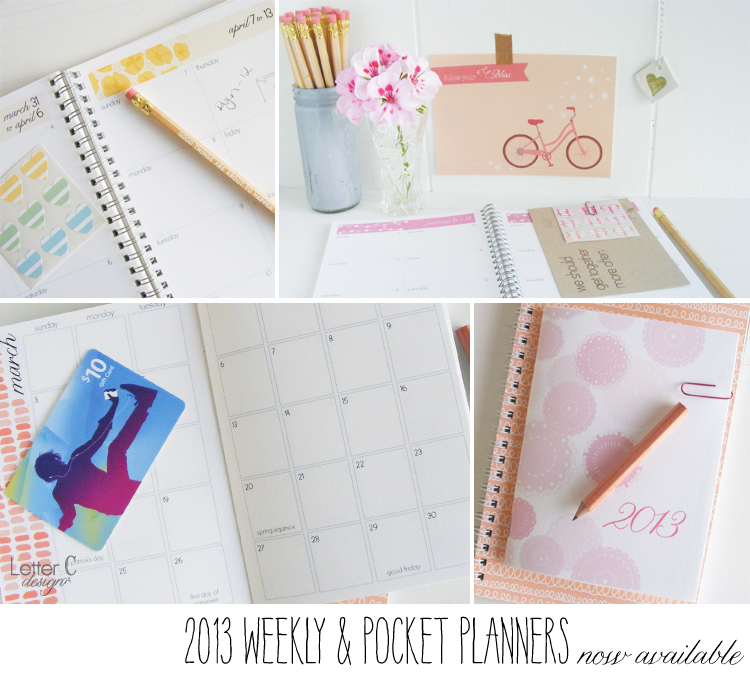 2013 weekly and pocket planners are now available in my shop. last year i introduced the weekly planner. i didn’t think i would sell many, but it turns out it was the most popular calendar that i offered. the planner has a page per week. each day has enough space for appointments, lists or project notes and a few lined pages in the back for notes you want to keep all year. this year there is a smaller pocket size monthly planner to choose from. if you prefer to keep your calendar with paper & pencil it’s a great choice to carry with you since it’s only 4.25″ x 5.75″. you can get all of the letter C calendars here.